Easter Decorated Eggs In The Basket, On A Wooden Background... Stock Photo, Picture And Royalty Free Image. Image 117584673. 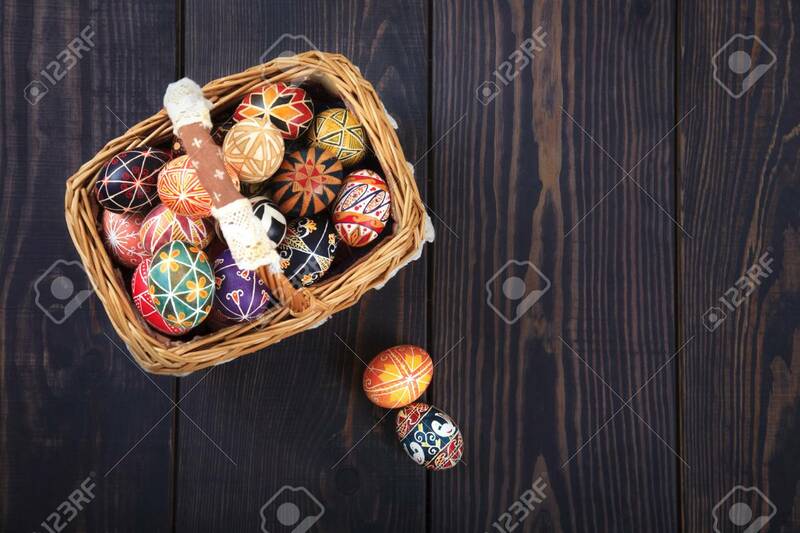 Stock Photo - Easter decorated eggs in the basket, on a wooden background. Copy space, easter background. Easter decorated eggs in the basket, on a wooden background. Copy space, easter background.